Experience amazing 4K Ultra HD HDR picture quality with JVC 55" Cast TV. 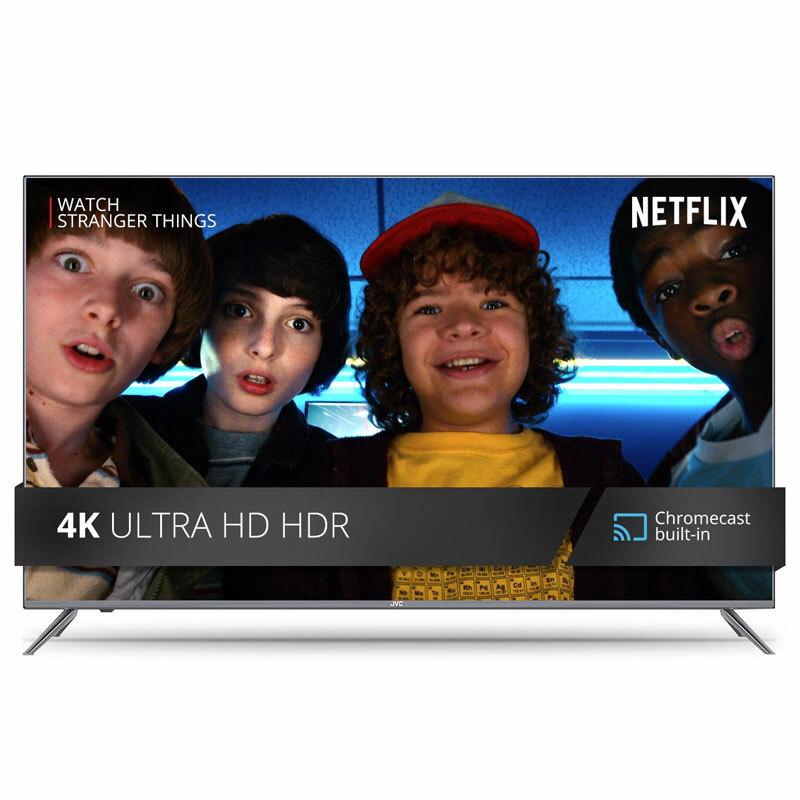 Its 2160p resolution and 120Hz effective refresh rate provide brilliant picture quality and smooth motion for optimal viewing experience of your favorite sports, TV shows and movies. With built-in Chromecast, easily access thousands of Chromecast-enabled apps on our mobile device and stream to your JVC TV.